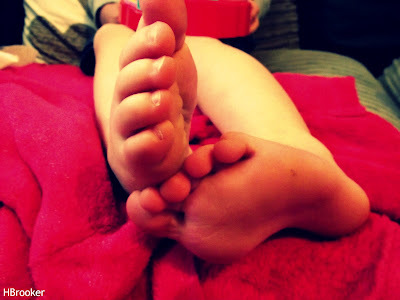 My nieces feet. I love feet. Table all set for my Aunts surprise retirement dinner. She has been an NHS midwife for over 40 years and delivered my 2 babies. I'm glad I could put this on for her and it was a lovely meal. Showing off her sore lip after skidding into the washing machine! Your local church is beautiful. Congratulations on your impeding nuptials. Great photos! Love the Easter bonnet - very impressive! Lovely Church, will be an amazing day! Its much better thank you! Thank you its very exciting! Well done you for putting that dinner on for you aunt and how lovely that she delivered your children.